Now is an ideal time of year to show your clients and vendors how much you appreciate their contributions. The season for giving and gifting can add stress – especially when it’s one more responsibility at your business. This year you can reduce your stress and actually inspire others with the gift of gratitude. Expressing gratitude allows both the giver and receiver to experience a terrific feeling. The cost is little and the memory of that feeling endures. Physical gifts like baskets, flowers, candies and calendars are enjoyable to receive and useful throughout the year. Select gifts that reflect your business, mission or passion – or choose something that’s relevant to your audience. Your corporate gift budget may be limited, yet the gift you give might last a lifetime if you express true gratitude. Take a moment to share your appreciation for those whom you wish to gift. Clients, colleagues and vendors all impact your success. Write a note customized to their unique contribution. When notes like these are attached to a tin of nuts, basket of goodies or bottle of sparkling cider, the note will be savored. Studies by behavioral economist Dan Ariely reveal that money is not the only motivator. Most people thrive when they believe they are making progress and have a purpose. Ariely’s theory was proven when employees became more creative and productive after receiving positive feedback. Work will still be work, yet with an infusion of gratitude, we are reminded how much we matter, how our effort counts and how our service is valued. A customized note is the most effective method of connection. Handwritten notes are best, but typed documents, emails or text messages, if crafted carefully, can melt hearts and make a relationship that lasts. …for ongoing support and trust. …for joining our many satisfied clients. …for giving us a chance to prove our expertise. …for making the project run so smoothly. …for saving time and money for our operation. …for being a vital part of the team. Tell someone why they are valuable to you and you will see them blossom with more-valuable behavior. Provide an infusion of gratitude in the business process and you will see more pride and ongoing enthusiasm. And if your budget or schedule don’t allow for a gift-giving program this holiday season, don’t dismay. 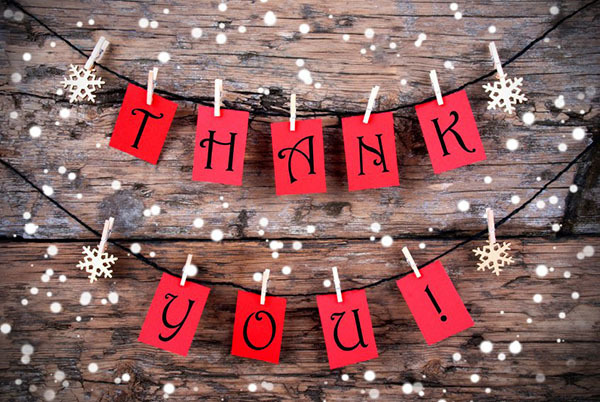 Gratitude gifts can be sent in January to start the New Year. February is a good time to share your love of your clients and colleagues. March is perfect for a pick-me-up gift of gratitude. April allows you to “spring” forward with a fresh perspective. May just may be the right time to give. June can burst out all over in positive energy. July is a hot time to let others know you value their effort. August is time for budgets and planning. September celebrates Labor Day – shouldn’t you? October is a good time to drop a positive note. November is Thanksgiving. December ends the year but begins the time for gratitude. Whenever your gift-giving time suits you, include a precious note that expresses how much you treasure the recipient. You’ll be surprised at how much positive energy will come back to you. This entry was posted in Marketing Strategies and tagged crystal lake, gratitude, marketing, small business marketing, sue dobbe, susan dobbe on December 16, 2016 by dobbemarketing. Leaders in business are planning their marketing budgets for 2017. Can you hear the collective groan? Planning can be an exciting adventure if you incorporate a fresh perspective. But groans are in order if your plan is to mirror last year’s marketing to achieve a different result. Get a new plan and make some new noise that your audience will applaud! Over the past couple of years, you probably added social media to your marketing mix, mostly because it’s inexpensive and everyone hopes that something will go viral. These tactics are valuable to your marketing effort, but only if there’s an overall strategy behind these actions. 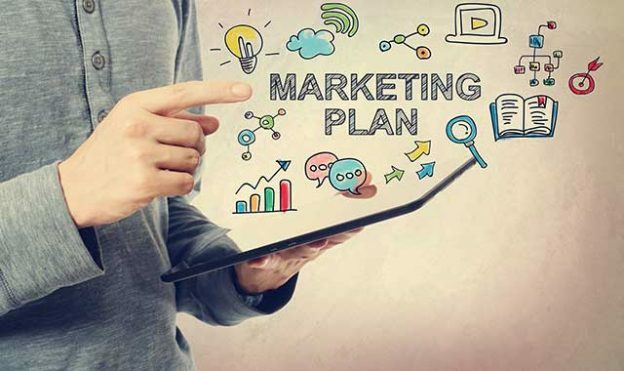 When was the last time you evaluated your strategy and created a comprehensive marketing plan? Still trying to recall? Then, it’s time to revisit your image and message. Start at the bottom. The foundation of your marketing strategy – of your business image – is the overall brand. The past five years have brought a drastically changed marketplace and new methods of doing business. Has your business evolved? Richardson Corn Maze, in Spring Grove, is billed as the World’s Largest Corn Maze and has become a global tourism destination. This farm is a multi-generational family business that was homesteaded in 1840 by Robert Richardson. In 2001, the family introduced the annual corn maze. Each year, the maze concepts become more creative and complex. They’ve incorporated popular culture that appeals to a broad audience, with subjects like sports champions, comical themes and seasonal themes. Beyond the corn maze, Richardson’s Adventure Farm has added amenities that allow the entire family to enjoy fun, campfires, music, s’mores, warm cider and a barn full of country fun. Last year, a 50-foot tall observation tower and a 50-foot slide were added. The Richardson family polished their farm fields and uncovered a sparkling gem. What’s hidden in your business inventory? How can you evolve your products and services to appeal to more and different audiences? Don’t groan when marketing budgets are expected. Rather, take the time to investigate what you have, and do so with objectivity in mind. Invest in a critical review of your business brand and current message. Consider an external consultant who can collect the proper data and assess the situation objectively. Who is your best client? Who is a potential secondary client? How is your marketing mix working? How has your sales process evolved, or how should your process evolve? Does your key message click with your clients? The answers to these points can direct your strategy and planning. Identifying and attracting your best audience with a fresh perspective can rejuvenate your business. Taking what you’ve always done and reframing it into something new can be exciting and rewarding. You may have a World’s Largest Corn Maze of your own. With a little creative investigation and strategic planning, an exciting new business opportunity can emerge for you. This entry was posted in Marketing Strategies and tagged Business Marketing, Dobbe marketing, Dobbe Marketing & PR Inc. on October 11, 2016 by dobbemarketing. 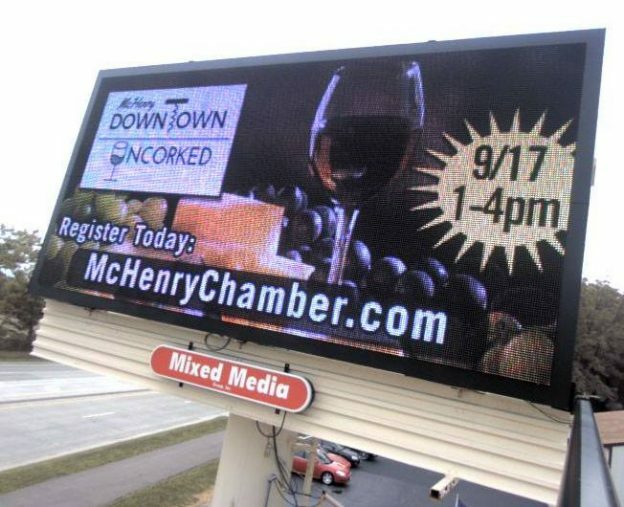 Enjoy wine tasting, appetizers and sweets, Illinois crafters, a swag bag, a commemorative wine glass, a complimentary bottle of wine, and a new appreciation of the unique shopping only available in Downtown McHenry. Save $5 with online pre-registration at the McHenry Chamber Website. This entry was posted in Client News on September 8, 2016 by dobbemarketing. 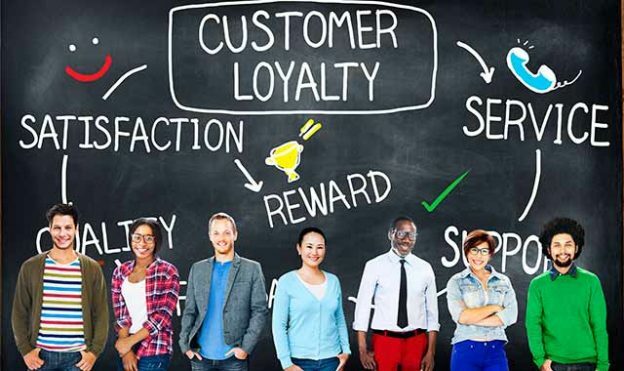 How effective is your business at earning and maintaining customer loyalty? 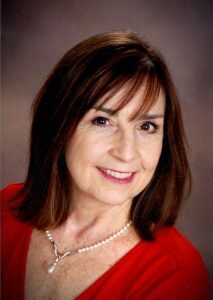 Susan Dobbe-Leahy, of Dobbe Marketing in Crystal Lake, explains why loyalty is essential, yet fragile. What are you doing to build loyalty with your clients, customers and community? Points, discounts, savings and perks will bring folks back to your business, but it’s personal relationships that form a true bond. Your client remembers the free shipping on the last order, samples of new products and free insurance included with travel. These are components of the connection, but loyalty is based on delivering on expectations and forming trust. Loyalty can be lost quickly with one bad experience – especially if the personal connection is not in place. For example, Noodles & Company recently revealed it has survived a major data breach for Indiana and Illinois locations. As a credit card customer of the delicious noodle-rific franchise, I am going to carefully scan my past and future bills, but will that breach prevent me from visiting Noodles & Company? No. The friendliness and service are excellent. The food is a healthy choice that tastes like a guilty pleasure. I will be back, with cash, ready for my next purchase. Like Target recently discovered, Noodles & Company will have to rebuild trust and loyalty, but it will recover. The company’s product and customer service are first-rate. Management and staff have excellent training. They are given information and instruction to handle inquiries about the breach from corporate – starting with apologies and concluding with solutions. Their customers know what happened and what to expect next. Listening and responding to others, in the moment, builds a connection that endures problems and withstands overtures from competitors. Business-to-business, business-to-consumer and everyday connections are more productive when pleasantly presented. Loyalty starts with you, whether you are CEO or bussing tables. It’s important for people to feel they are important to you and your business. Set the example as a leader in your business, family or network. Demonstrate your ability to listen, learn and serve. Every positive encounter can lay a brick in the bridge of loyalty. When problems occur, there may be a pause, a time of concern. With continued attention to detail and personal connections, you can rebuild relationships. Life is long, the world is small. Building bridges that link us for the long-term is smart business and smart marketing. Over time, you may attract new people to your business. New demographic groups may see a need for your product or service. Many times we see competitors evolve into business partners or collaborators. This can happen if your personal relationships are building bridges of communication instead of walls of isolation. Loyalty starts with understanding what members of your target group want and need, then giving them what they expect and sometimes a bit more. Are you learning the loyalty needs of your clients, colleagues and community? This is an ongoing process. Then, you must continuously evolve to earn it. This entry was posted in Marketing Strategies on July 29, 2016 by dobbemarketing. ©Copyright 2016. Dobbe Marketing & PR. All rights reserved.